It took me a while to figure out what other book JG Ballard’s “High-Rise” reminds me of. In my defence I have to write that it has been ages since I’ve read “Lord of the Flies” by William Golding, another novel about how people react under special circumstances. Whereas Golding sets his figures on an uninhabited island, Ballard unfolds his story in a huge skyscraper, the High-Rise, a building that offers literally everything the inhabitants need from a supermarket and a school to restaurant and swimming-pools. No wonder the flat owners – as the story unfolds – are gradually losing interest in the surrounding world and stick inside the building. Robert Laing, a doctor and medical school teacher who moved into his flat on the 25th floor after his divorce, soon finds himself too lazy to go to work and spends his nights protecting himself and some neighbours from other inhabitants. Gradually living in an exclusive flat means getting back to the most primitive ways of existence: staying alive, getting something to eat, having a safe place to sleep. 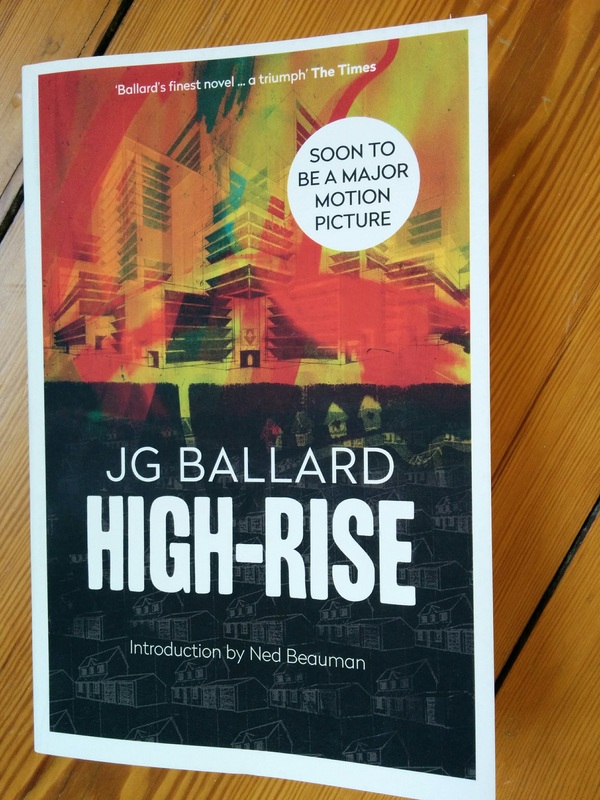 The intensity in JG Ballard’s “High-Rise” comes from a language that is almost neutral and a complete contrast to the story itself, that is told like a non-fictional topic with a storyteller who seems only to describe what he sees or what he has been told. That’s why this novel is so brilliant and thrilling at the same time. In the movie adaption of “High-Rise” Tom Hiddleston takes the role of Robert Laing.